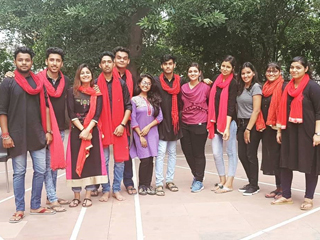 On 14th September, 2018, JIMS Gender Champions Club organized a Nukkad Natak on “Female Foeticide”. Female Foeticide is the abortion of female foetus outside of legal methods. It is increasing in India day by day. 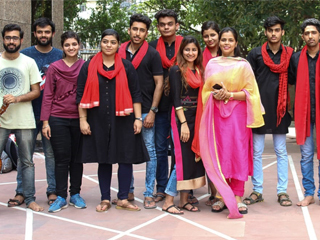 The purpose of the nukkad natak was to sensitize that girls play a vital role in our life. They also have equal rights in every aspect of life like born and bought up, career, health, education etc.. 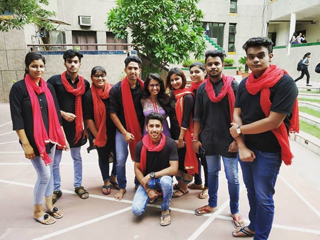 The nukkad natak revolved around a family who lives in a village and how they react when they get to know about the gender of the new member in the family. How a woman hears about the unborn child and follows her heart. Gradually as years pass this girl makes her family proud and becomes the first IAS officer of her state. 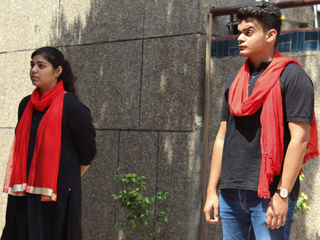 This natak showed various shades of women being a mother , daughter, wife, daughter in law etc. The end of the event was marked by singing a song on “O RiChiraiya, Nanhisichidiya, Angnaameinphir”. The event was applauded by the all the students and staff members.